What is it about some people that causes them to always try to get to the highest place around? All of my life I have climbed to the top of the highest vantage point (and growing up on the Gulf coast of Texas, that usually meant a tree). 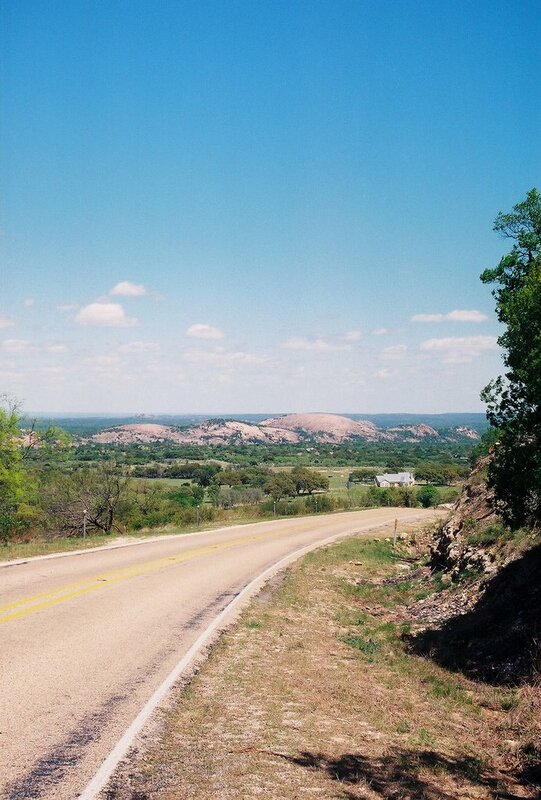 For years and years my favorite trips were to the Texas Hill Country out west of Austin. Even then I was chasing my roots, though at the time I had no clue. Turns out a couple of Generations of my family lived and loved, raised kids (Lord did they raise kids) and buried the loved ones that passed on. And they did it in a part of Texas that actually has topography unlike the counties I spent my growing up years in. This photo shows Enchanted Rock on the horizon. It is one of my favorite spots in the center of Texas. This is what we here on the Texas Gulf Coast call a mountain…see the house in front, it’s only a mile or so from the base of the Rock. Other than a car trip in the early ‘60’s to Ohio to visit my dad’s twin sister, I had never really enjoyed mountains. The only tall places I could visit around home were the man-made mountains in downtown Houston. I started visiting the observation deck at the top of the Humble Oil Building in the late ‘60’s and continued to make periodic trips up to see the sites until they closed it when it’s 50+ stories no longer topped the skyline of Houston. It was on a business trip in early March of 2000 that I had a chance to run up into the Blue Ridge Mountains of North Carolina. The first day was a day that most of the people living in the area would recognize; totally fogged in…couldn’t see 50 yards down the road, much less the view from the overlooks. I cruised from Blowing Rock to Little Switzerland and didn’t see a thing. The next day the weather in Charlotte was clear and beautiful so I decided to try again. When I drove up the switchbacks above Lake James and then south down the Blue Ridge Parkway to where the road was closed, I was in awe. I stopped at overlook after overlook and stood in the sun with the icy wind in my face looking at the vistas until my eyes watered from the cold, but still I stared. The one thing that I will never forget was the thrill I got when I rounded the curve and drove out on the Linn Cove Viaduct for the first time. This has to be the most beautiful piece of engineering I have ever seen, and, to this day every time I cross those graceful curves I still feel a thrill. I don’t remember what it was that first pulled me to Valle Crucis when I was planning our 2003 Vacation. 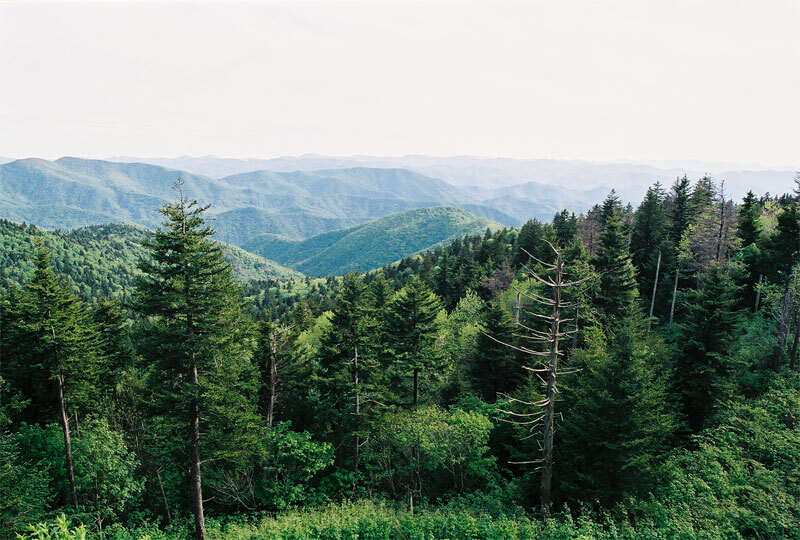 I had fallen in love with the Blue Ridge Mountains on my Charlotte trip in 2000. During that trip I had cruised from Blowing Rock south through Little Switzerland to Linville Falls and I was really impressed with the area. Due to my genealogical research I had a general interest in North Carolina but hadn’t pinned down any areas of specific interest. Both my Boyd ancestors and my Sewell ancestors (via the Linville family) had moved through the area in the later part of the 18th and the early part of the 19th centuries. I had decided I wanted to take the family to the North Carolina Mountains and was exploring the Internet for a place to go and stay. Something kept pulling me to the Valle Crucis area. 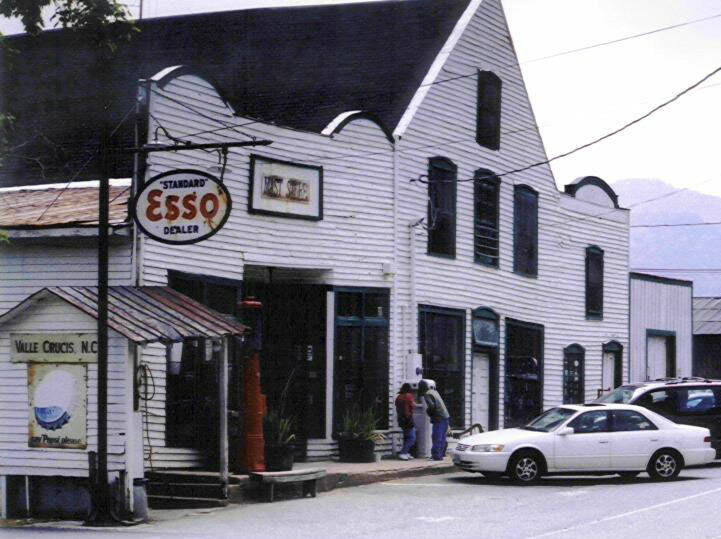 I was intrigued with the history of the Mast General Store. Grandfather Mountain called me; I can still remember the awe I felt on my first trip over the viaduct. I wanted to experience the places and the people. That spring I spent many hours on the internet and at home with the family going over different options until we settled for a rental log cabin on Ayers Mountain above Valle Crucis. We left Texas on a normal hot August day and after two long days of driving we arrived on the mountain and immediately felt at home. After lazing around for a day, we started doing some sight seeing. I learned to love driving the narrow mountain roads. We spent five days and wished it could have been longer, and then it was the long drive home. The planning for 2004 wasn’t as long or as intensive as the year before, but we ended up in the same general area only further up the mountain. We managed a longer stay this year but it still wasn’t long enough. It was the first week in June and one of the crowning glories of this year’s trip was the nightly light show. We were in the last occupied cabin about a half mile from the end of the road, and nightly at dusk the fireflies would come out. There were millions of them, and they would line the side of the mountain above the road cut in front of the house. It was the first time in my life I have ever seen so many at one time. The most amazing thing though, was the way they would synchronize their blinking. It was like watching a wave of light roll down the mountain. By the time it would pass where you were standing, it would start again up at the far end of the road…Amazing. I stood out for what seemed like hours each night. It was just recently though as I was doing some reading of research that I found a reference to my Linville ancestors having lived in Wilkes County, North Carolina. When I went looking for the info on the internet (gotta love it), I discovered that the part of Wilkes County where they lived was now in Watauga County. So dig out the trusty atlas of North Carolina and lo and behold just out of Vilas is Linville Creek…So Great-Great(five in all) Grandpa Thomas Linville was living just north of Valle Crucis in the 1780’s and 90’s before moving on to Tennessee. So anyway that is how Valle Crucis came to be added to my favorite places and it looks as if it will be on the list for another generation of my family at least. · Grandfather Mountain – This is a privately owned bio-reserve. If you ever get the chance, check it out.